Health care systems that have partnered with EXOS to create on-site fitness facilities or performance centers — spaces that provide services, technology, and specialists aimed at improving the mindset, nutrition, movement, and recovery of clients — have discovered a seamless integration of clinical and performance services that drives business for both. Athletes undergoing surgery can rehabilitate with EXOS physical therapists. That experience can inspire the athlete to train regularly at the health system’s EXOS-powered performance center even after recovery from surgery or injury is complete. Likewise, athletes training at EXOS under the guidance of EXOS performance specialists and dietitians likely turn to the clinical side of the building when diagnostic testing, imaging, or surgery is needed, as it inevitably is for active athletes. But how does a health care system market its EXOS performance center to those outside of the system’s existing business? “You have this shiny new space, but you need to create opportunities for engagement and activation,” says Marty Weems, vice president of sales and strategic business development at EXOS. Many a health care system has spent significantly to sponsor a local marathon or triathlon. But while the event might provide seemingly deep activation in terms of title sponsorship, signage, sponsor booths, and distribution of goody bag premium items, the marketing buy does little beyond raising brand awareness for the health care system. There’s value to that, of course, though likely not proportionate to sponsor dollars spent. For a health care system with a fitness center, the key is to bring athletes on site before they’re in need of clinical services. Here are several ideas to attract new members, engage the community, and increase revenue for your medical fitness center. 1. Stage an open house. Fortunately, most hospitals with fitness centers have plenty of meeting space and parking, especially during weekend or evening hours when a running or triathlon club would be looking to hold an organizational meeting — or when a race organizer would want to stage a packet pickup. Such an event could include a performance center open house with specialists giving brief introductions to the EXOS system. Healthy snacks and beverages should be provided. If the facility is near trails or green space, a running club could go through a routine of dynamic warmup exercises prior to departing. If it’s just a planning meeting for run club leaders, they could go through something more in-depth from the EXOS program. 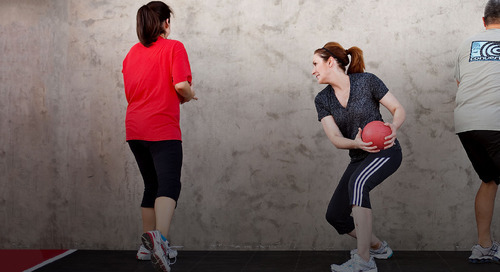 Rehabbing at an on-site fitness center can inspire athletes to train there regularly even after recovery. For a health care system with a fitness center, the key is to bring athletes on site before they're in need of clinical services. 2. Cater to multisport athletes. Participation in running and triathlons has soared over the last decade with Gen Xers in particular embracing multiple sports. Though such athletes tend to have higher incomes, they follow the traditional endurance sports mindset of swimming, biking, and running long and hard with little consideration to preventing injuries, recovery, and training more efficiently. In other words, they’re the perfect clients for a performance center. Triathletes and avid runners typically pay for premium services such as massage therapy and body composition measurements. 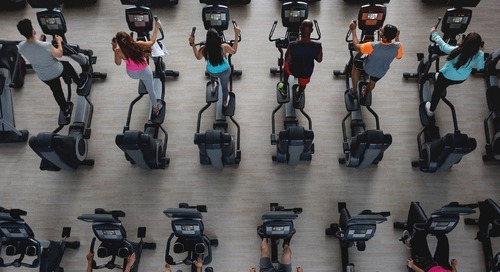 In recent years, recreational athletes have proved willing to pay up to $300 a month for certain fitness membership niches. Even yoga studios can command $100 a month or more. That means today’s higher-income recreational athletes, who typically have full-time jobs with strong health coverage, are more predisposed to paying for the services an EXOS performance center provides and not just for themselves. 3. Sponsor on-site youth events. 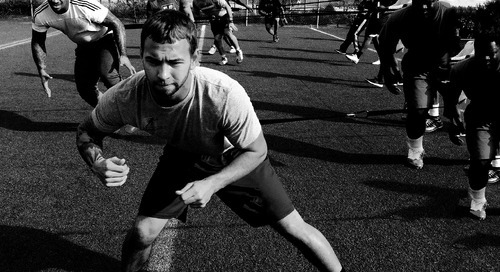 The market for youth performance training has boomed in recent years due to year-round, one-sport specialization and the realization on the part of many parents that a truly holistic approach to performance improvement is something kids don’t receive in even the most advanced sport-specific programs. As with the adult endurance sports crowd, a health care system could sponsor youth sports, activating with event sponsorship, facility signage, and premium item giveaways. But here, too, it’s more effective to create on-site opportunities to activate and engage. The health care facility can host league meetings, which can include an EXOS open house for coaches and parents. It’s more effective to create on-site opportunities to activate and engage coaches and parents. The Boy Scouts of America, which includes more than 2 million Scouts ages 10 to 18, is another possibility. The personal fitness merit badge is one of 13 required to reach Eagle Scout, the highest Scout rank, and Scouts must achieve fitness benchmarks to advance through the lower levels. Hosting a local troop and its adult leaders for testing and instruction is another way to introduce EXOS to a large local youth market. Like the endurance sports crowd, Scouts and youth sports teams come together in the late afternoon and early evening hours, which is perfect for health care systems, which draw most traffic between 7 a.m. and 4 p.m. The key, Weems says, is to create an organic opportunity to activate on site, drawing parents and kids to the facility for reasons other than injury. Advertising without activation and engagement often produces little result.